King Salman, Ahok and a historic handshake, which has become a trending topic. The king also enjoy a holiday in Bali more than a week. 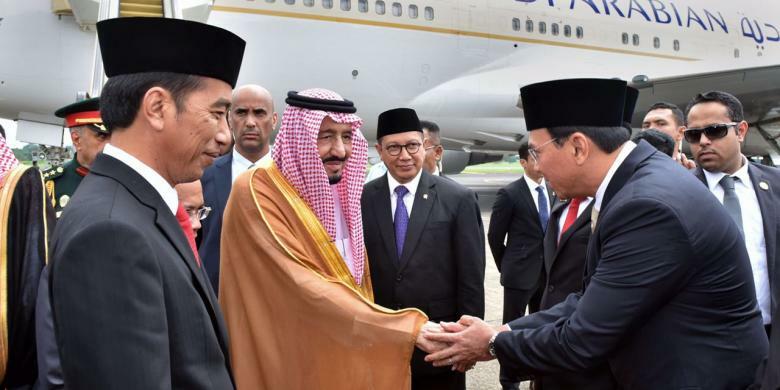 Salman, a king who had a great influence in the Arabian Peninsula and around the Middle East has been to Indonesia to reciprocate the visit Jokowi, the President of Indonesia. The state visit is not only a state visit and business affairs, but the extraordinary event occurs because the king bring a group of more than 1500 people, consisting of the Arab princes, ministers and Arab businessmen. This visit is very historic because it is the first visit since 47 years ago, when King Faisal visited Jakarta, Indonesia. When arriving at Halim Perdanakusuma International Airport on March 1, 2017, Raja Salman greeted by Jokowi and the ministers, and Jakarta Governor Basuki Purnama Tjahaja which is known as Ahok. There followed a moment of important and interesting because Raja Salman shook Ahok, where the king smiled warmly when the king met with Ahok. It seems that the Arab king had heard the achievements and performance of Ahok as governor in Jakarta. The events of the handshake between the King with Ahok have a conversation for days, have even discussed a few days before the arrival of King Salman. Photos, videos and news about these moments become a trending topic on various social media, either pro or con. Ahok respond to important events with ease. Apart from the story Ahok and the king, it is very interesting is the visit of King Salman for a vacation on the island of Bali, a popular tourist destination in the world. Bali became his choice, because he wanted to enjoy the beauty of the beaches in Bali, watching the sunrise, and of course a close look at the Balinese people are friendly. The King also enjoy arts and cultural activities in Bali. Arriving in Bali, the king greeted with performances Pendet at Ngurah Rai International Airport. The dance was created by artists in Bali to welcome important guests such as the President, the Prime Minister, the Queen and King. 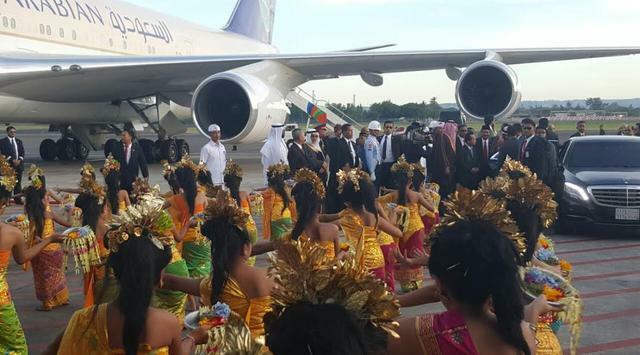 King Salman was very happy to get a warm welcome during a vacation in Bali. What is interesting, because the King was very pleased with the holiday in Bali, it turns out he is extending his vacation of six days with an additional 3 days. 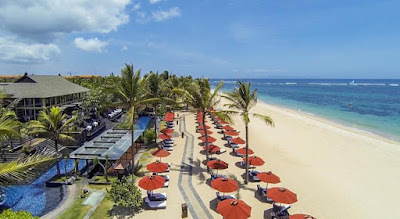 It is true, Bali is a beautiful island with a variety of unique aspects of culture, arts, customs, and had a beautiful view with variations such as beaches, mountains, rice fields, lakes, local and international food. 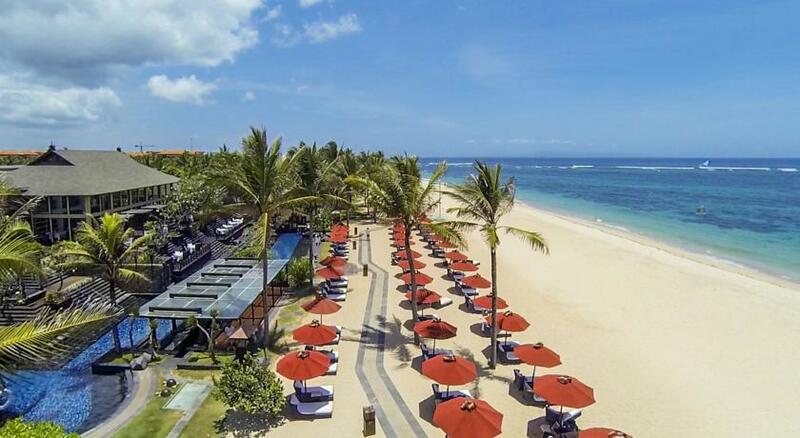 Bali has been a tourist destination for a variety of purposes such as a honeymoon, adventure, learning to cook, spiritual tourism, water sports, cultural tours, and so on. Let's see this interesting video for reference, so you can visit Bali in the near future as King Salman and Arab princes.